I totally called it! 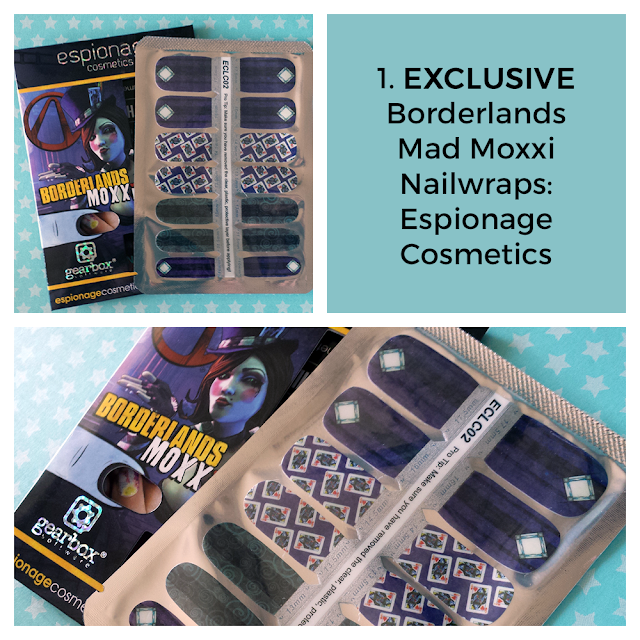 A gorgeous set of Mad Moxxi Nailwraps from Espionage Cosmetics. Exclusive ones. As in you can ONLY get them in this box (unless someone is reselling them I suppose). I'm actually not a Borderlands fan... yet. But I love EC's nail wraps and other products so I can't wait to rock these. Check out more Borderlands items from EC. Oh, and if you love subscription boxes you have got to sign up for their BoomBox and Nexus subscriptions, I get both and they are stellar! (I'm unboxing the August BoomBox here later this week). I've been reading DC Bombshells and loving it. It's such a cool reimagining and it centering around the ladies of DC makes it extra awesome. 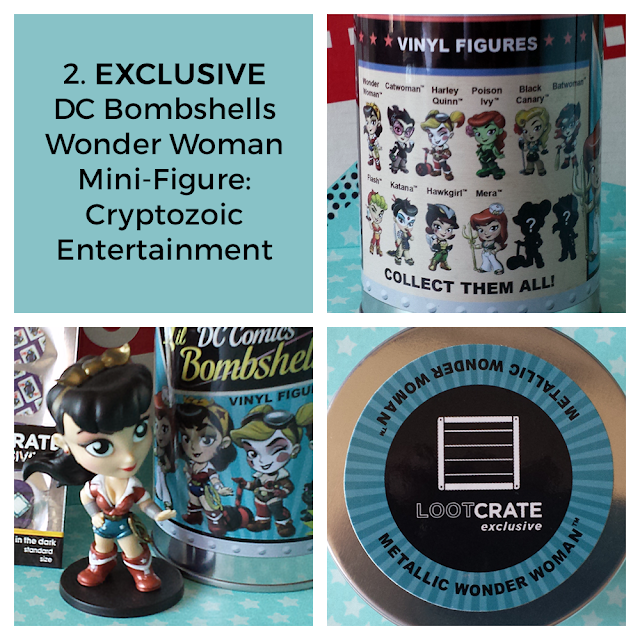 A week before my Loot4Fangirls box arrived I had randomly stumbled on the DC Bombshells mini-figures from Cryptozoic Entertainment on Amazon. Someone wants almost twenty bucks each over there but they should retail closer to $12. I believe they don't actually release until September if my research into where to buy them at the actual retail price is correct. This exclusive metallic Wonder Woman is super cool and much cuter than my picture shows. I'm really hoping there will be a second series because I very much need Zatanna. I can't wait to collect them all! There was nothing in the box that I didn't love but I confess that this might have been my favorite item. I already had it on my wishlist. 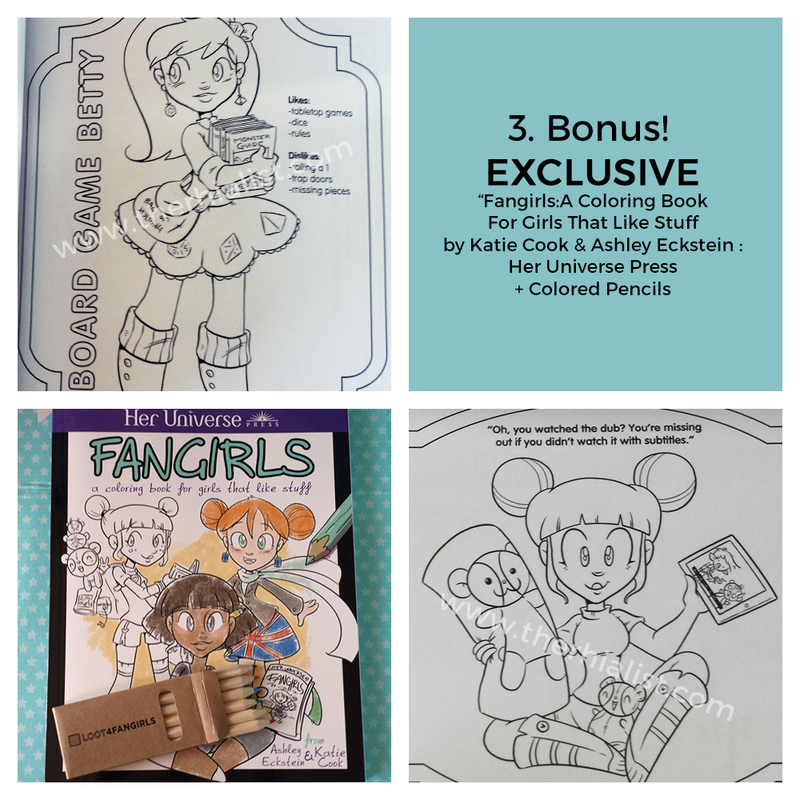 I know they say this is exclusive but I compared it to the same coloring book with a different cover that Her Universe Press put out back in June and the only difference I can find is the cover art. I'm just sayin'. If you don't want all the super special loot but really want the coloring book you can snag it here on Amazon. Confession time. I'm not really into dresses. It's a leg hair + laziness thing. But all summer long I've been wishing I owned more than two that aren't for like funerals and fancy stuff. This one totally fits that bill. The skater dress style is so comfortable! I took a chance an went with a Medium. Her Universe stuff tends to run a size small but last time I ordered a size up in one of their dresses I bought an XL and then could never sort out the exchange with Hot Topic because all other sizes were sold out. 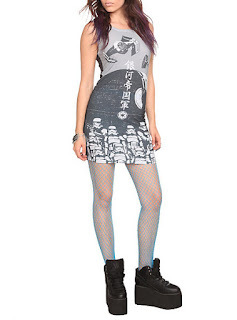 (So uhm if anyone wants that badass Imperial dress they had at Hot Topic like 5 years ago, drop me an email and we can work something out). But I digress... I'm a size 6 and I'm packing an extra few pounds right now so it's a skin-tight Medium but very comfy. 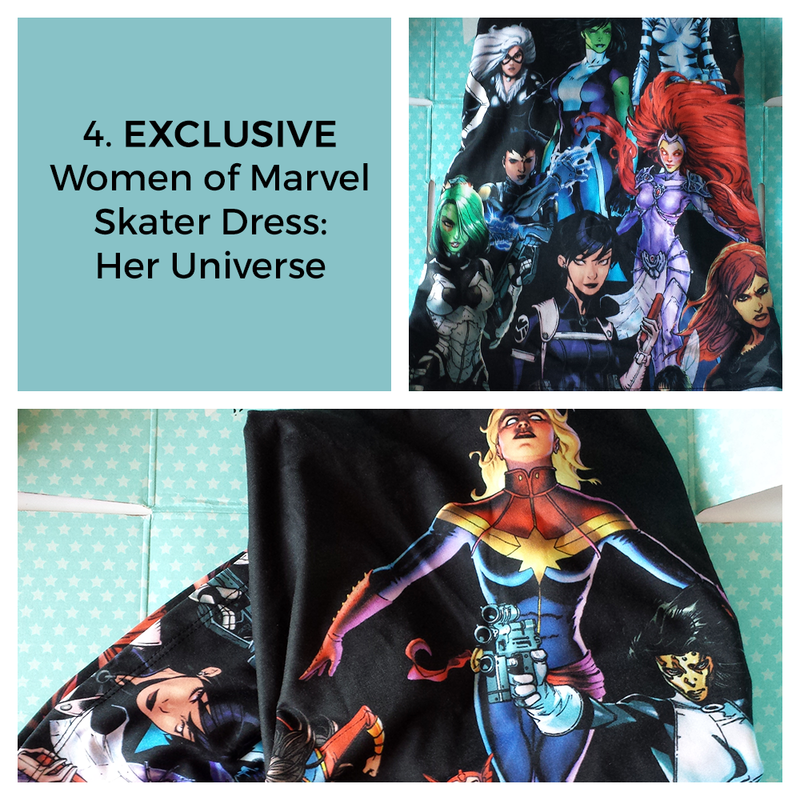 If you're a fellow fangirl looking for fandom clothes that are made for women and girls check out the Her Universe website and their Hot Topic exclusives too. The Captain Phasma jacket is even more amazing in person! I've never had a clutch purse before because the idea of a purse without a strap or handle scares me. I might set it down and lose it! But this one is so cute. 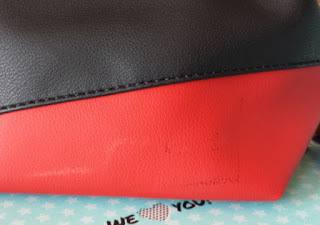 I'm going to find a way to add a strap or I'll wind up using it as a makeup bag. 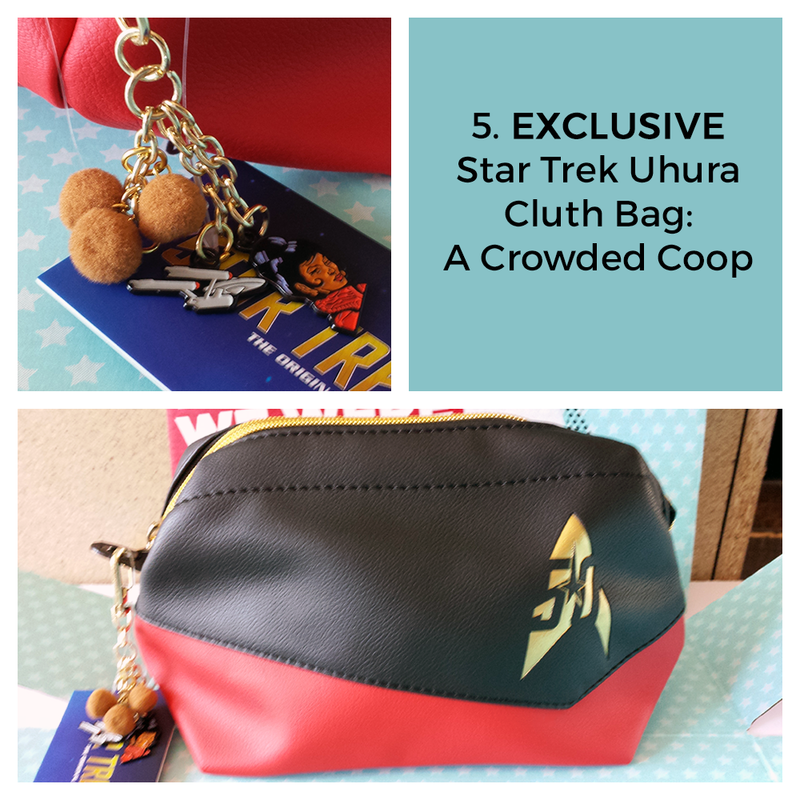 This exclusive came from The Coop (formerly A Crowded Coop). They have lots of fantastic fandom goodies from The Walking Dead and Adventure Time in addition to both TOS and TNG Star Trek. I only had one problem with an item from this box and it was this clutch. On the back side it has these weird black and grey marks. In person they're very obvious and I wasn't able to rub them off. Since it's the backside I'm not going to fuss about it but it's a quality control problem worth noting. 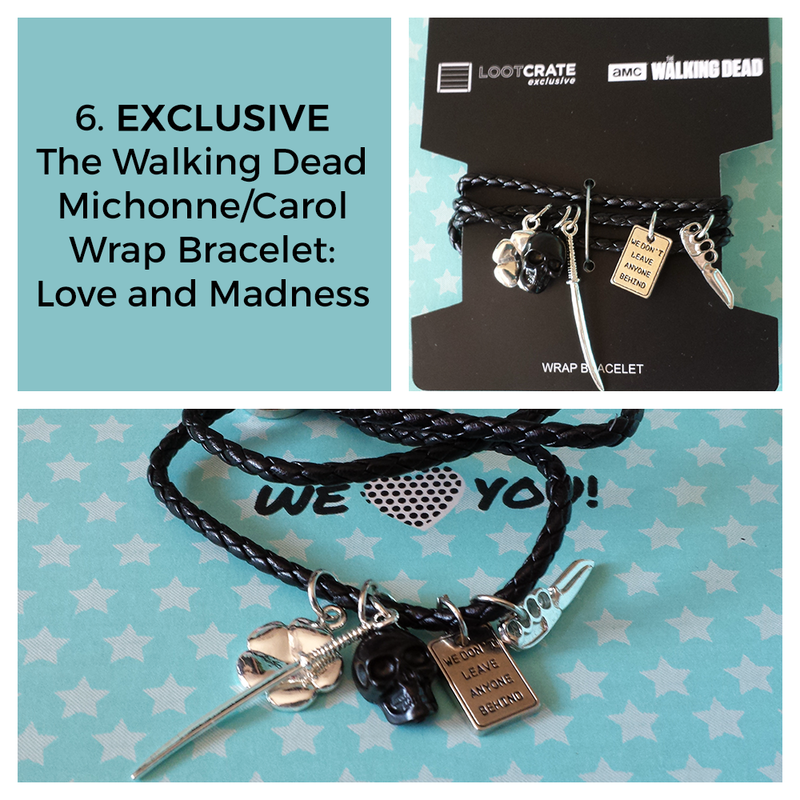 Last, but never least, an exclusive The Walking Dead Michonne/Carol wrap bracelet. Now if y'all follow me you know I am obsessed with TWD. I feel like Carol and Michonne don't get enough praise as their male counterparts. I've got to break this bracelet in before I can wear it because it doesn't fit my wrist well but I absolutely love it! Need more fandom jewelry? Love and Madness has more gorgeous TWD designs—The Daryl Lariat necklace is to die for. This was a mystery box totally full of win. I liked every single item and the price was perfect. That I couldn't get any of these elsewhere (aside from the coloring book) made it extra special. This is the first time I got a box from LootCrate where I didn't wind up letting my hubs and son take the majority of the items. All the loots are mine suckahs! It made me so happy that I would love to see Loot4Fangirls become a quarterly thing to supplement the non-gender specific options out there. I would definitely sign up for it. What do you think of this mystery box? 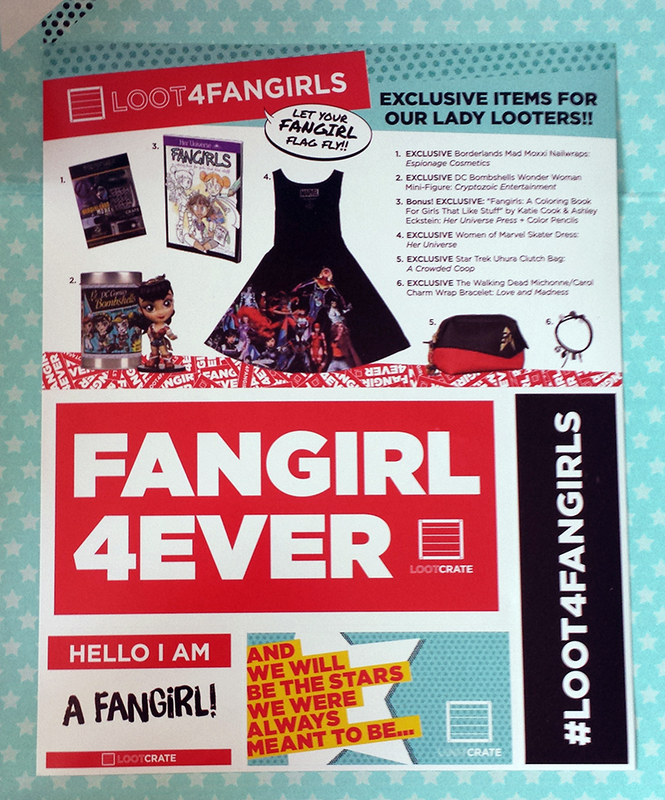 Which item from Loot4Fangirls would you love? What fandoms would you love to see included in another Loot4Fangirls box?